It’s my greatest pleasure, on behalf of the Organizing Committee, to welcome you to attend the 4th India Nuclear Industry Congress 2018, which will be held on April 26-27, in Mumbai, India. 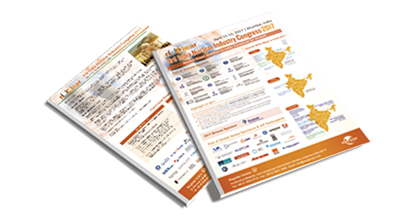 India Nuclear Industry Congress 2018 is the only nuclear energy congress in India Focusing on NPPs both under construction and proposed. The event will dissect topics like Policy Updates, International Agreements, Nuclear Partnerships, Nuclear Liability, Projects Updates, Reactor Technologies, Supply Chain and Fuel Cycle. India planned to add 2.5-3GWe annually for the next 15-20 years through domestic and international cooperation with a target to reach 60 GWe Nuclear Capacity by 2032. In May 2017, the cabinet approved ten 700 MWe PHWRs. Meanwhile, nuclear cooperation agreements are signed or being negotiated with Russia, Japan, United States, France and other countries.